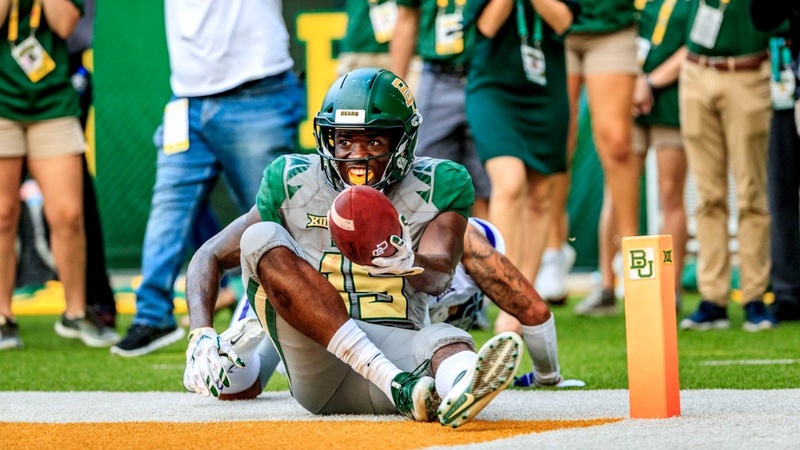 With the decision to return for his senior season, Baylor wide receiver Denzel Mims has the opportunity to solidfy his name in a number of the program’s career receiving categories with a strong final campaign. Mims caught the game-winning pass against Oklahoma State in 2018. A fourth-year senior, Mims has hauled in 120 passes for 1,905 yards and 16 touchdowns in his career. The respective totals come after Mims caught just four passes for 24 yards in two games as a true freshman in 2016. In his sophomore and junior seasons, Mims averaged 58 receptions and 940 yards while scoring eight touchdowns in each of the two seasons. While Mims currently falls just outside of the top 10 in Baylor’s history in receptions and total yards, his 16 touchdown reception puts him at No. 10 on the list. Mims falls 35 receptions shy of Trent Shelton and 79 receiving yards shy of Melvin Bonner for 10th place in each category. If Mims maintains his pace set over the course of the 2017 and 2018 seasons, his career receptions (178), yards (2,845) and touchdowns (24) would place the 6-foot-3, 210-pound reciever at No. 6, No. 6 and No. 5 in the categories in Baylor history. If those projections come to pass, Mims would pass 2015 Biletnikoff Award winner Corey Coleman (173) in receptions, Antwan Goodley (2,366) in receiving yards, and move into a tie with Tevin Reese (24) for touchdown receptions. As Baylor’s top receiver in 2017, Mims posted a career high 61 receptions for 1,087 yards and eight touchdowns. 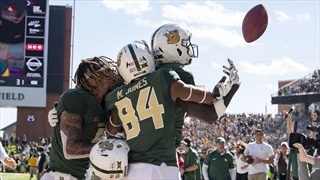 In 2018, as Baylor’s second leading receiver behind Jalen Hurd, Mims caught 55 passes for 794 yards and led the team with eight touchdowns. Hurd led the team with 69 receptions for 946 yards. Mims can be great this year, and has several great moments. He needs to always run hard through his route, and avoid the crucial drops he had last year. (Although now when you set records you are going to look like a green crayola crayon melted on a banana).